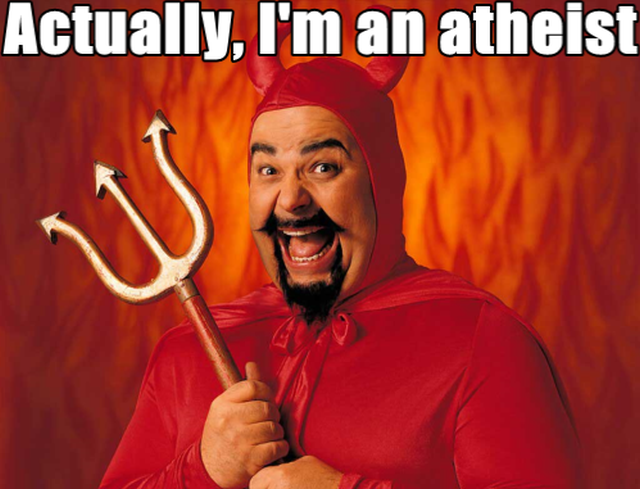 The Trash Can: Atheists are Satanists! Speaking of the atheist religion, and to revisit an older post, I was making the analogy that Atheists are identical to Satanists on another blog. In the discussion about Atheists praying, (I know, right?) someone said in a flippant manner, "Because the theists will mock you if you allow them to own prayer — right after they tell you you’re a Satanist or some such nonsense." So I chimed in with my comeback that received an unexpected response. I did get quite the chuckle, or evil laughter you pick, to the comment. Satan is a childish fairy tale. What about those people who said they WERE Christian but are now athiests?